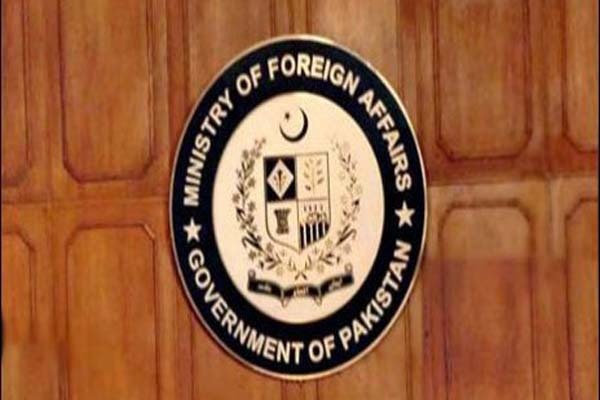 ISLAMABAD, Nov 1 (APP): Pakistan Tuesday lodged strong protest over the unprovoked ceasefire violations by the Indian forces on Working Boundary and the Line of Control (LoC), that resulted in the martyrdom of 6 civilians, including a woman and injuries to eight civilians, including 2 women. The Director General (SA & SAARC), Dr. Mohammad Faisal, summoned the Indian Deputy High Commissioner, J.P. Singh, and strongly condemned the unprovoked ceasefire violations on 31 October 2016, by the Indian Forces on the LoC in Nikial and Jandrot sectors, resulting in shahadat of 6 civilians, including a woman and injuries to eight civilians, including 2 women, a Foreign Office statement issued here said. The Director General urged the Indian side to respect the 2003 Ceasefire Understanding; investigate the continued incidents of ceasefire violations; instruct the Indian forces to respect the ceasefire, in letter and spirit, stop targeting the villages and civilians and maintain peace on the Working Boundary and the LoC, the statement added.